How to configure WordPress All in one SEO Pack Plugin? What is SEO? The Acronym stands for Search Engine Optimization, is an activity that seeks to generate legitimate organic traffic from search engines.So the demand of SEO plugins in the market are much higher as compared to other plugins.All in one SEO pack plugin is the best WordPress SEO plugin i have came across nearly 13 lakhs plus downloads ,wooooooooow, What a great stat ! !, hats of hallsofmontezuma for such a wonderful plugin. In this article i will share how to configure this plugin step by step. After installation make sure that the plugin status must be enabled. The title tag is one of the most important factor in the high search engine rankings. As the name implies, this will be the title of your homepage. This is independent of any other option. If not set, the default blog title will get used. But careful folks don’t use title more than 60 to 75 characters in length.You can also place your company name in the beginning of the title especially when your company is a well known brand. Meta descriptions is an html attribute that provides breif explaination regarding contents of your webpage. But the question is how does it helps in search engines to get a high traffic ?You wont believe that search engines rate the meta description tags over keyword tags and not only this google uses these tags to check the duplicasies of the pages. This option is used to set the META description of your homepage, independent of any other options, its default value is null. It will be good for search engine bots to set the description, try to make it brief not more than 160 characters. I know 160 characters are much less when you got lots of lots of things to say, but seriously, it will help you in SEO. How does keywords helps you in getting high traffic to your website ? See the most important thing here is, to get aware what customers are searching for and from that search trend you got to target specific Keywords that customers are searching and also those keywords must reflect the image of your website content.You can use third party tools to know what the keywords customers are searching. So this makes this option equally important and if you have multiple keywords than specify them, each, seperated by commas. Canonical url is the best url picked amongst several choices, usually refers Homepage. This option will automatically generate Canonical URLS for your entire WordPress installation. This will help to prevent duplicate content penalties by Google. This setting is total related to the title tags. If you want to use custom title for home , page , post , search and archive than make sure this setting is checked. You can easily set your title format with the help of macros provided with this plugin . 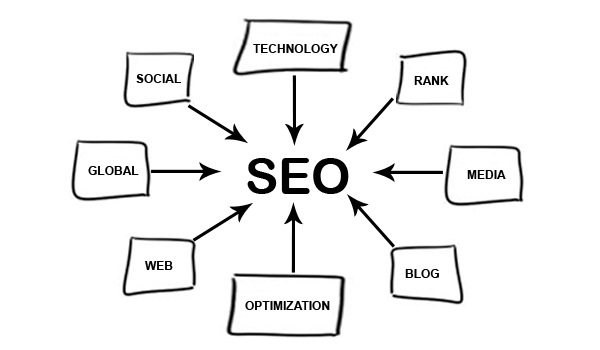 These macros are very important for the Search Engine Optimization purpose. Below find the list of available macros that you can use in the post format title option. %blog_title% – Your blog title. %blog_description% – Your blog description. %date% – The original archive title given by wordpress, e.g. “2007” or “2007 August”. If you want to use this SEO plugin for the custom post types than make sure that the option SEO for custom post type must be checked and after this select those custom post types for whom you want to give a support of this plugin. Want to link you website pages with google, than just specify you google plus profile ID and also the analytics ID for tracking. Meta Keywords are also very highly rated along with the Title and description html tags .These options are thus provide to override the default scenario.Three settings are provided as shown in image above .Want to use categories names as a meta keywords then don’t forget to select the option “Use Categories for META Keywords” .Similarly for tags , select the second option. Yah, but if you want to use both, than select both the options.There is one more setting available which is “Dynamically Generate Keywords for Posts Page”, generates dynamic keywords, even if , other options are selected. Noindex block the pages from getting indexed in search engines. Check this for excluding category | archives | tag archives pages from being searched in the search engines. When there is no excerpt/content in the post, than you can check this setting to generate the META description tag automatically. This option will capitalize the first letter of the all the categories. If you dint want to use this plugin for particular pages than mention there ids each separated by commas. Specifically useful when there is a plugin which generates dynamic non-WordPress pages. Whatever content you right here will gets replaced in their respective headers irrespective to the other specified headers. This will comes to an end of this configuration guide, believe me guys if you are a WordPress site owner this All in one SEO Pack plugin will help you immensely in improving your site traffic. In my next article will share some of the ideas regarding how to use this plugin in order to get the high search engine traffic. Do i mark original title? or when i mark use seo for costume post types do my site is showing in search engine my home title, at now it doesn’t show my home title. in my case I have a long main-keyword: my site title: translate from spanish to english. can I use the whole thing in the keyword section of All in one SEO settings? its Great information for all of us & I always Follow ur Website for the purpose of Learning. Anyways I want to ask onething that Is Ping an Imp Part of our Blogs or Not if Yes then plz tell me the name of those website where we can start ping if not then plz tell me d reason. How cant i prevent some specific URLs using All in One Seo Pack?